Apple Inc. has announced its new product iPad Pro. There is no doubt that it’s the biggest iPad yet, which has a 12.9-inch retina display, larger than the 9.7-incher on the iPad Air 2. Definitely, this large display looks gorgeous. Its 2732 x 2048 pixels screen resolution adds up to 5.9 million pixels. Amazing, that’s more pixels than the 15-inch MacBook Pro with Retina Display. As Apple fans, you would benefit a lot from this iPad Pro with enhanced features. Specially, you can get better video enjoyment. But, you may encounter the trouble when watching 4K videos on iPad Pro. let's figure it out. Unfortunately, the answer is "No". You can not get 4K videos played on your iPad Pro because Apple can no realize a display as high as 3840×2160 to support 4K videos playback. Therefore, even if you can add a 4K video to iPad Pro, the content on the display will appear tiny, and the 4K video takes much space because of the high requirement on resolution. What’s worse, iPad Pro only supports MP4, MOV, M4V file. H.265, MKV, MP4, MXF, XAVC, FLV, MTS, AVCHD, WMV, etc with 4K resolution will not be played on iPad Pro. Frustrated, right? What you can do is to convert 4k video into 1080p, at 4:3 or 16:9. After thaat, the vido can be easily played on iPad Pro. 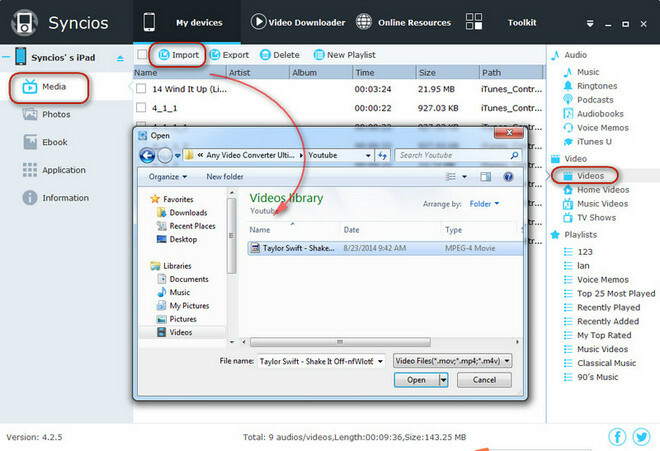 Any Video Converter Ultimate is such an excellent 4K Video Converter, which can help you to convert 4k videos to AVI, MP4, MOV, MPEG, 3GP, ASF, FLV etc within simple steps. How to convert 4K video to iPad Pro? Any Video Converter Ultimate is an professional 4k videos converter, with which you are able to convert 4k videos in any resolution without any quality loss. Then, you can add the converted 4k videos to your iPad Pro for enjoyment. How to convert 4K video? Both Windows version and Mac version are available, just choose the one according to your computer operation system. Step 1. Free download and install this 4k video converter, then launch it. Step 2: Add the 4k videos you need to convert. Simply click “Add Videos” or “Add or Drag Files” to add the 4k videos you would like to convert. Batch video conversion and merging videos are also supported. Step 3: Choose the output format and start converting your 4k videos. Click “Output Profile” drop down menu to select output format. You can also customize video and audio options, such as Video Codec, Video Bitrate, Video Size, Audio Codec, Audio Bitrate, Audio Channel, Disable Audio, etc. Just click “Convert Now” button to start converting 4k videos. 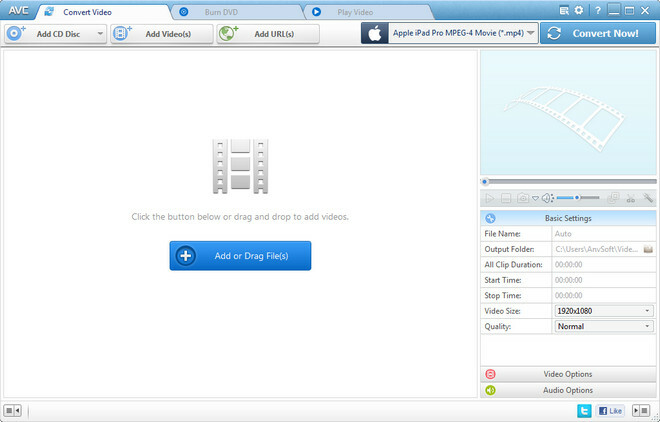 Once the conversion is completed, you can click "Output Folder" button to get the converted videos. To play converted 4k videos on iPad Pro, you need to transfer these videos to your iPad Pro first. Syncios iPad Data Transfer will be a great helper, which allows you to transfer videos to iPad Pro easily and freely. How to transfer converted 4k videos to iPad Pro? Simply download this iPad data transfer tool to your computer first. Please be sure that iTunes is already installed on your computer for running this free iPad Pro Transfer correctly. But you do not have to run iTunes. 1. Connect your iPad Pro to the computer and then launch the iPad data transfer tool. 2. Click Media tab on the left panel of syncios, click "Import" button. 3. 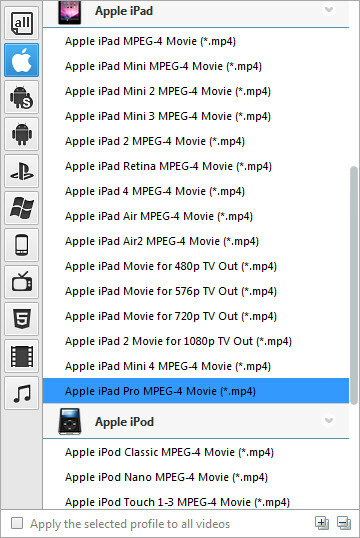 Choose video files in your computer and import to your iPad Pro.